The 50+ group is the fastest growing segment of Internet users. 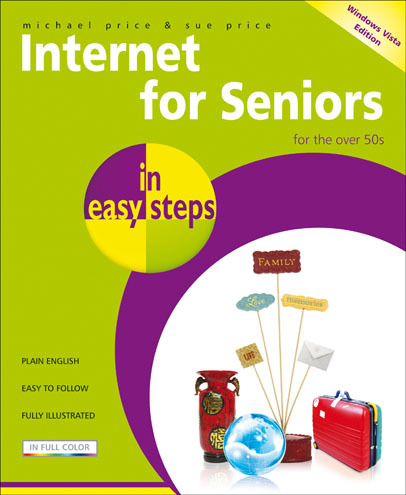 Internet for Seniors in easy steps will help you take your place in this evolution, so that you can discover the opportunities and the benefits of the Internet. 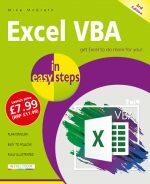 It introduces you to the latest software Internet Explorer 7 as used in Windows Vista. The emphasis is on the tasks that you want to carry out over the Internet, rather than the technology and equipment used. Activities discussed include searching the Internet, solving puzzles and quizzes, playing games of skill such as chess and bridge, planning vacations, exploring arts and crafts, researching your family tree, publishing web sites and blogs, receiving RSS feeds, and keeping in touch with family and friends. The book helps make sure that all your Internet experiences will be safe, enjoyable and useful. The Internet is not just for students and business, it is there for everyone. Internet for Seniors in easy steps with its larger type and clear presentation, will help you enjoy it to the full. Michael Price is an accomplished author, IT journalist and systems consultant with a wide experience of computing systems ranging from mainframes to personal computers.